One of Canada’s largest mechanical industry associations has appointed a new president. Former newspaper man Sandy MacLeod will take the reins from Warren Heeley, who is retiring at the end of June after more than 30 years with the organization. “It’s an opportunity for HRAI to experience a fresh perspective,” remarked HRAI chair Bruce Passmore (Emco). MacLeod was chief operating officer – print, for the Star Media Group, which publishes the Toronto Star, the Metro papers and other publications. He is a native of Nova Scotia, he has led numerous businesses across Canada. He also brings considerable association board experience to the role as he has been involved with several associations in the communications industry. He was president of the North American Division of the International News Media Association, media research lead for Vividata and chair of Advertising Standards Canada. 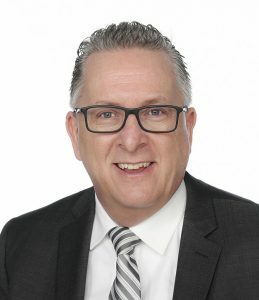 The combination of business skills, a wide range of experience, his understanding of the Canadian marketplace and the time spent serving on association boards makes him the ideal fit for the role, said Passmore. Heeley and MacLeod are working together to ensure a smooth transition. HRAI is a non-profit trade association of manufacturers, wholesalers and contractors in the Canadian heating, ventilation, air conditioning and refrigeration industries. It was founded in 1968. For more information, please visit www.hrai.ca.